You had someone look at your car, or your computer or your mower and they have news for you… BAD NEWS. “Well you see sir the main computer in your car just ain’t computing like it used to and we have to send to Taipei to get these puppies” or “Your compressor is just shot, it lived a good long life but it just don’t have anymore to give”. Most of these doomsday prognosis’ are followed by the obligatory “They just don’t make ’em like they used to”. Everything does break eventually and sometimes those failures can be costly and inconvenient. Like the time the main board on my own washing machine failed right when we got home from a long and especially smelly camping trip. But sometimes you don’t feel confident in what your being told, especially when the diagnosis is 50% slang and 100% metaphor that you’re quite sure is biologically and technologically impossible. You’re not an A/C whiz, but you know enough to know the motor probably didn’t “breathe its last” and the expansion valve isn’t “more broke than MC Hammer” (OK, I made that last one up). This is why we give free second opinions on all sorts of HVAC (Heating, Ventilation and Air Conditioning), Electrical and Pool Heater issues. It isn’t that we think you are getting “ripped off”, in many cases what you were told is correct and we also will be the first to tell you that while you were told the “Compressor was on its last leg” it does have compression ratio issues etc.. and should be replaced (if that is true). Unfortunately there are FAR TOO MANY cases where customers are told they need a new compressor or system when in fact it is simply a wiring issue, a burned connector, a failed capacitor or a shorted crankcase heater. Many of these may be honest mistakes by the diagnosing technicians, but wouldn’t you want to know that? We are local and family owned. We would’t be able to look in the eye at Publix if we ever treated you wrong. 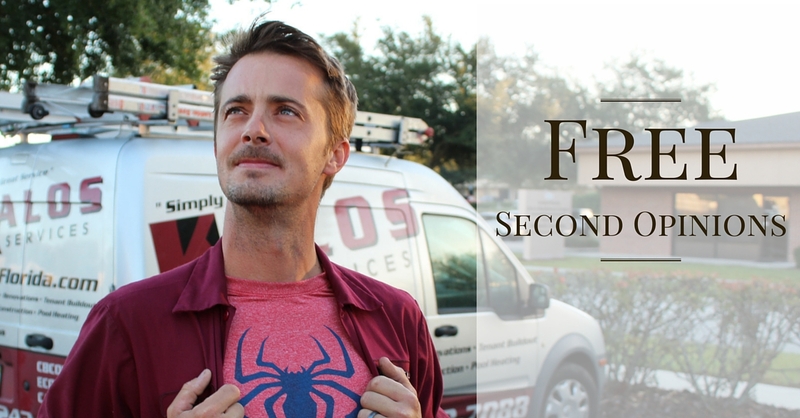 If you want a free second opinion, call us at 352-243-7088. We answer the phone 24/7 and will get out to you ASAP with a friendly technician. Now be forewarned, we won’t talk bad about the other guys. If they did make a mistake we will show you and move on without slinging mud, for we may bump into them in Publix as well. If you want you can fill in this form and we will contact you ASAP.